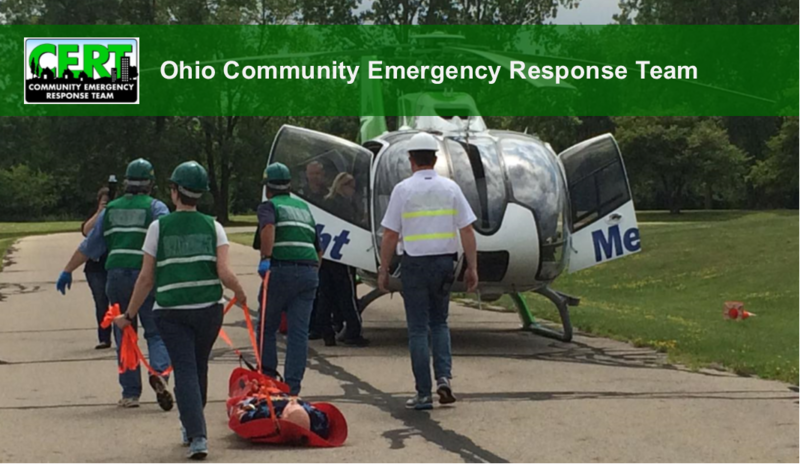 The Ohio Community Emergency Response Team (CERT) program educates volunteers about disaster preparedness and trains them in basic disaster response skills such as fire safety, light search and rescue, and disaster medical operations. CERT offers a consistent approach to volunteer training and organization that professional first responders can rely on during disaster situations, which in turn, allows responders to focus on more complex tasks. The CERT program was designed as a grass root initiative and specifically structured so that local and state program managers have the flexibility to form their CERT programs in the way that best suits their communities. Citizen Corps works through a national network of state and local Citizen Corps Councils, if local communities choose this advisory option, then leaders from law enforcement, fire, emergency medical and other emergency management, volunteer organizations, local elected officials, the private sector, and other community stakeholders that serve as an advisory board. Local Citizen Corps Councils implement Citizen Corps programs. These programs may include CERT, Medical Reserve Corps, Neighborhood Watch, Volunteers in Police Service, Fire Corps and other affiliate programs that provide opportunities for special skills and interests. They also organize special projects and community events. For CERT programs not endorsed by a local Citizen Corps, the program must be sponsored by a local emergency response organization such as a local fire department or emergency management office. Citizen Corps affiliate programs expand the resources and materials available to states and local communities. They do this by partnering with programs and organizations that offer resources for public education, outreach and training; represent volunteers interested in helping to make their communities safer; or offer volunteer service opportunities to support first responders, disaster relief activities and community safety efforts.